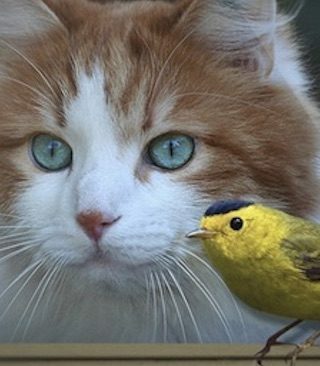 Keep Cats Safe and Save Bird Lives is a coalition of individuals and organizations concerned about the well-being of cats and birds. We believe all animals are important, and as humans, we owe both cats and birds protection. Click on the map above to see the full breadth of our network of people working for the well-being of cats and birds, or see the list below.Cats are at risk when they go outdoors unsupervised. Through improving our treatment of cats we, as a society, also limit their impact on the environment generally, and birds in particular. Keep Cats Safe and Save Bird Lives is led by Nature Canada, the oldest national nature conservation charity in the country. Over the past 75 years, Nature Canada has helped protect over 63 million acres of parks and wildlife areas in Canada and countless species that depend on this habitat. Today, Nature Canada represents a network comprised of over 45,000 members and supporters and more than 350 nature organizations across the country. Nature Canada is working with national, regional and local partners across Canada to keep cats safe and save bird lives. 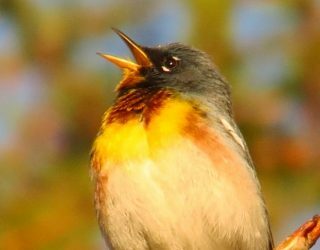 We work closely with our partners and volunteers to cultivate municipal action and raise awareness about the issue, and we have lots of resources to help cat-owners ensure their cats are safe, stimulated and get enough exercise without roaming unsupervised, tips for bird lovers on how to keep birds safe from cats, and much more. Find out what you can do to help by visiting our Take Action page. Please explore our site, and visit our partners’ websites and take full advantage of their resources and on-the-ground reach. Salthaven Wildlife Rehabilitation & Education Centre Inc.